I love Michael Kors but can't always afford to splurge. 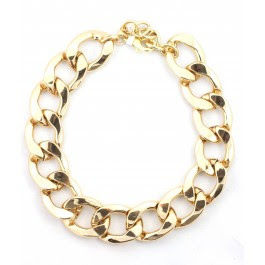 This gorgeous chain link necklace (so classic!) retails for $175 at Neiman Marcus. Mimi's The Look 4 Less will give you a similar classic, beautiful style for a fraction of the price, this necklace retails for $48. Click HERE if you're interested in purchasing.